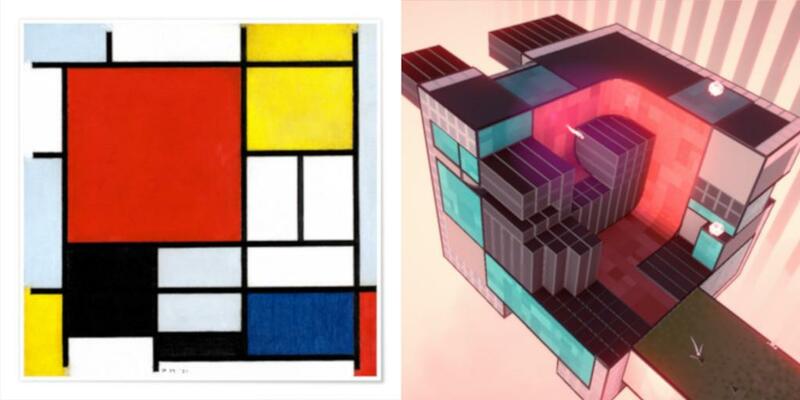 Indie games have been becoming more dream-like these past few years, ranging from the ethereal classics of Monument Valley and Gris to the Twin Peaks bad-trip of Petscop. A new name to add to 2019's roster of anticipated games is Etherborn, as created by Barcelona's Altered Matter studio and distributed by 20th Century Fox games label FoxNext this spring. 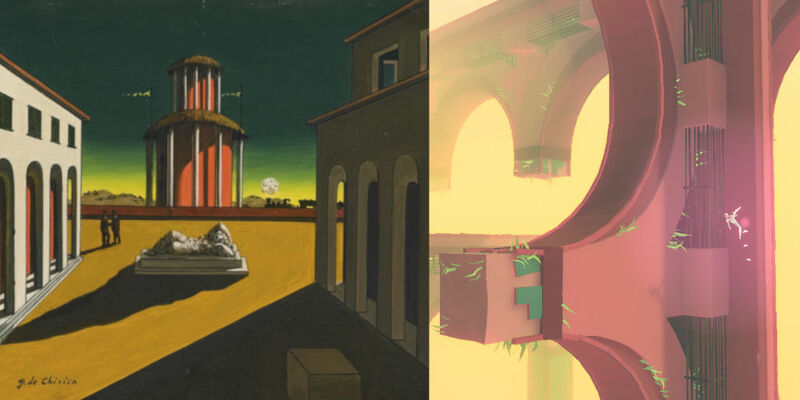 The game is an environmental puzzle platformer built on exploring and understanding gravity-shifting structures, with a visual design influenced by the works of Escher, Mondrian, Malevich, and the genius de Chirico as these 'inspiration' pics from the studio demonstrate. 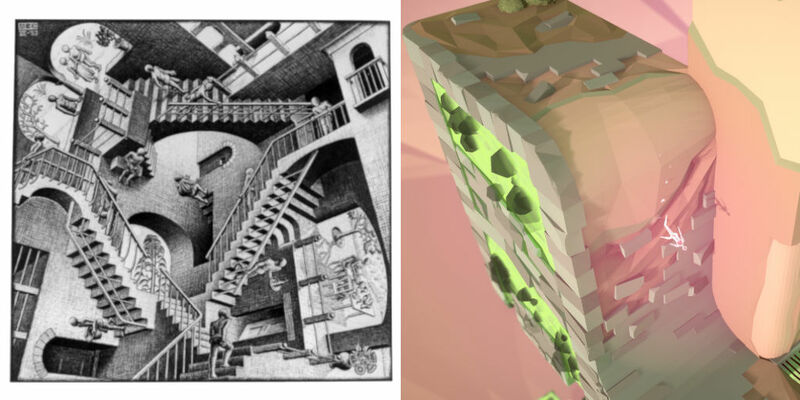 On the left hand side you can see a classic work by Escher and on the right one of the levels from the game, as animated below. Etherborn is Altered Matter's first game, built for PC, Nintendo Switch, PlayStation 4 and Xbox One. The game has already earned recognition for the studio at Busan Indie Connect and IndieCade. Check out the trailer to the game below, and find out more about Etherborn on the studio's website. 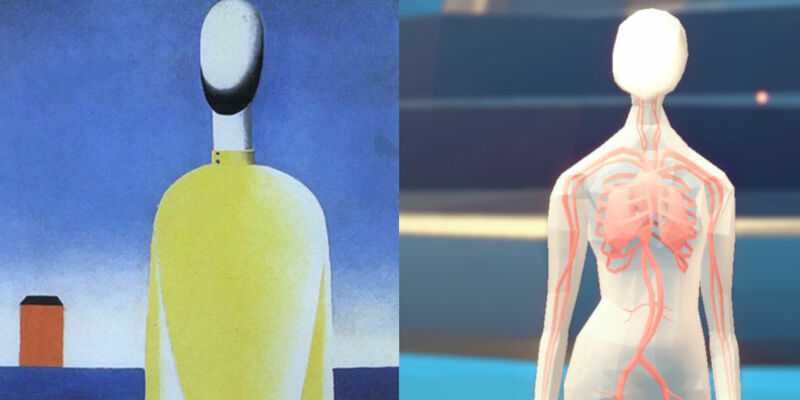 We place it alongside the forthcoming Sayonara Wild Hearts and Odd Tales' The Last Night as one of the indie games to watch out for in 2019.